How Can I Tell if I'm On Track for Retirement? How Can I Tell if I’m On Track for Retirement? Reader Question: Am I On Track for a Secure Retirement? 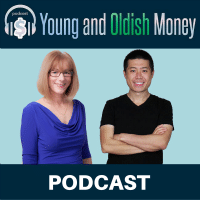 You’re doing what you think is right, saving, investing, living modestly, but how do you know if you’re on track for retirement? This question from a reader echoes a common concern. After all, no one wants more life than money! 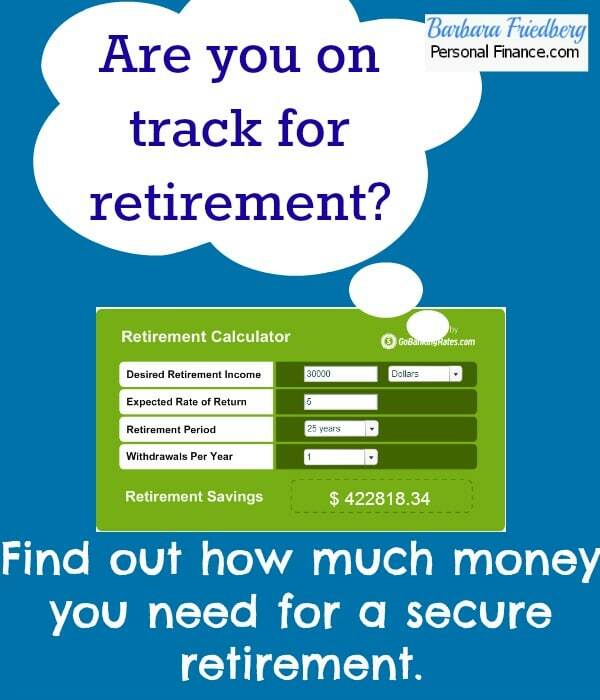 How to Find Out If I’m On Track for a Secure Retirement? Here’s a roadmap to find out if you’re on track for retirement. 1. Figure out approximately how much money you think you’ll need per year in retirement (usually about 80% of your current income, but it varies a lot from person to person). 2. Then jot down how much you’ll get from your military pension plus any other retirement plans, such as social security. 3. Next estimate, with an online calculator how much your current investments will be worth at retirement. CNN Money has an excellent retirement calculator to help you figure out the future value of your retirement portfolio. Choose your rate of return carefully. When putting in your expected rate of return, I suggest being conservative. Although average historical stock market returns have topped 9% and long term bond market returns hover around 5%, I’d assume future returns will be lower. It’s better to under rather than over-estimate your future retirement earnings. 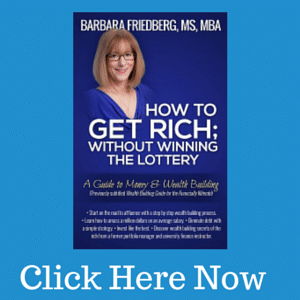 Click here to learn the best way to invest and build wealth for retirement. 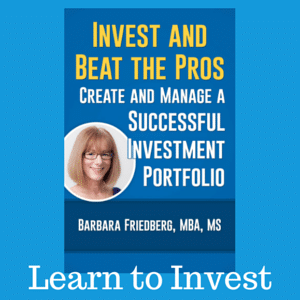 To come up with a reasonable rate of return, figure out the percent of assets invested in stock funds and the percent in bonds-your asset allocation. Next add those percentages mulitplied by expected asset returns to come up with your expected rate of return. For example, Kaitlin has 60% invested in stocks and stock mutual funds. She has 40% invested in fixed assets such as bond funds. She selected an expected 7% future return for her stock assets (2% lower than the historical averages) and 3.5% expected future return for her bond investments. With 60% invested in stocks multiplied by a projected 7% annual return and 40% invested in bond assets with a projected 3.5% expected return, Kaitlin projected her future investment returns at 5.6% [(60%*7%)+(40%*3.5%)]. With the booming recent stock market returns, you may be thinking that a 5.6% future projected return is too low. And it may well be. So, choose the future return that you feel confident with. 4. Now that you’ve come up with an expected financial net worth at retirement, your next step is to figure out how much you can withdraw each year and how long your money will last. First, add up expected pensions in retirement. Then guesstimate how much you think you’ll need each year to live on (from #1). Subtract the pension from the annual living expenses and take that data to this GoBanking Rates Retirement calculator. Input your desired $30,000 per year. We lowered the expected rate of return in retirement to 5%. We assumed 25 years in retirement with just one withdrawal each year of the yearly amount. This analysis estimates that in order to withdraw $30,000 per year for 25 years, you’ll need a nest egg at retirement of $422,818.34. The calculator gives you an approximation of how much money you’ll need at retirement to meet your goals. Remember this is an estimate based upon imprecise future scenarios. Many things could occur to waylay your smooth path to retirement including unexpected expenses and lower than average future returns on the negative side. There might also be positive future events that improve your retirement outlook. Maybe you inherit a nice chunk of change from a long lost Aunt. Or future returns surprise us on a positive note. If it looks like you’re on track to have enough money at retirement in order to withdraw what you’ll need, great, then keep doing what you’re doing. If you’re under-funding your retirement savings, now it’s time to make some changes. Find ways to make more money. Cut back on unnecessary expenses and put the difference towards your savings and investing. Although its quite easy to avoid thinking about the future, your future self will thank you if you spend a few minutes now to find out if you’re on track to have enough money in retirement. For more ways to save and make money for the future while enjoying the now-click here.